Credit for today’s online interior decorator find of the week goes to my 11-year-old niece. 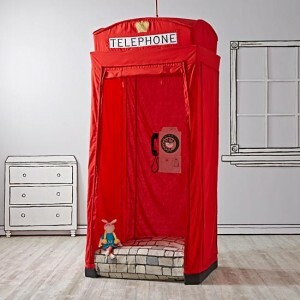 While taking some time with family this week, I learned that my niece had asked Santa for a phone booth for Christmas. “Not a working phone booth but one that I can go inside. It must red.” She said. Unfortunately, Santa was unable to deliver on her quirky request because, really, how would Santa even get a phone booth on his sleigh? 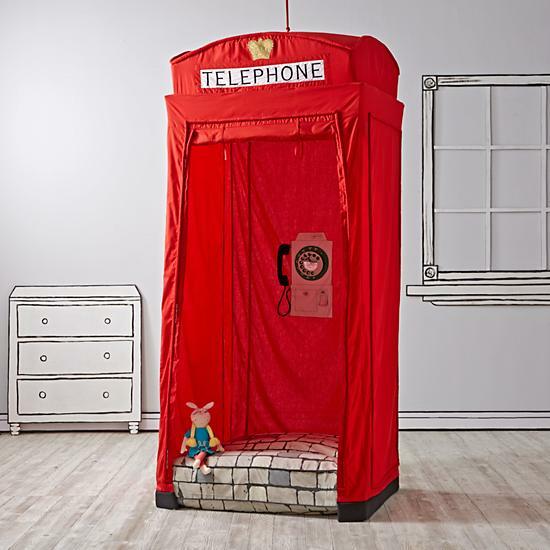 This adorable telephone booth playhouse from Land of Nod fits the bill of my niece’s detailed request. Can you believe it? Birthday perhaps! For other quirky design finds, please follow my Pinterest board Because It Makes My Heart Sing.